Technology has been upgrading all the time and all these changes has revolutionised everything around us. And one such innovation has been video conferencing. It has changed the way people communicate, especially when it comes to businesses. Surprisingly, the video conferencing has been a real money saving medium of communication. It has also contributed towards increase in productivity as people can have face to face meetings without even leaving their offices. Here are some reasons why video teleconferencing is the smart choice for your business. You can conduct meetings with multiple people from different geographical locations in a very convenient manner. It helps businesses to save money as people do not need to travel in real and save a lot of time. It depends only on one time investment and then it’s all cruise control to get connected. Businesses may have employees that are placed at different locations or maybe on field due to the nature of their job profile. They can connect with the help of an app using their mobile phones. 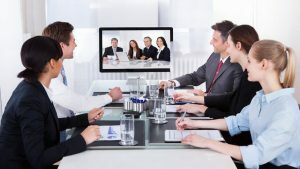 Studies show that video conferencing has helped participants to be more focused and connect to each other quickly over any issue. This has helped in increasing the productivity and get the projects to be completed faster. The biggest advantage of video teleconferencing is that it is not time or place bound. You can connect and communicate any time. It can save time, help you resolve issues quickly and make strategies on the fly. HDH Tech has been pioneer for providing solution for residential and commercial projects for last 30 years. They provide seamless experience to corporates with the top-notch technological assets. Visit https://hdhtech.com, to know more about their services.